If you liked this show, you should follow Red Town Radio. Marilyn Vann serves as president and a director of the Descendants of Freedmen of the Five Civilized Tribes Association, a nonprofit corporation that educates the public about the history, culture, and political rights of the African Indian peoples of the five nations (formerly known as the Five Civilized Tribes) whose ancestors were enrolled as “freedmen” tribal members by the US government Dawes Commission approximately 100 years ago. She is the lead plaintiff in a federal lawsuit against the US government department of interior, Vann et al. Versus Norton, which deals with the enforcement of the 1866 treaty rights of the Cherokee Indian Freedmen Peoples in accordance with the Cherokee Nation constitution. 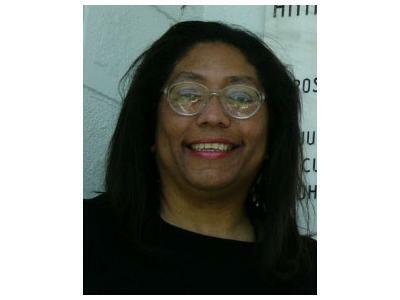 Marilyn has written articles pertaining to the Indian freedmen issue for the Native American Times, the Muskogee Daily Phoenix, and the Oklahoma Eagle. Marilyn has also been featured in the Los Angeles Times and Wired Magazine, the Daily Oklahoman, the New York Times, and www.indianz.com. Marilyn, a member of the Cherokee Nation, is a descendant of Joseph Vann and Rider Fields, who were native Cherokee citizens by blood who immigrated to what is now eastern Oklahoma before 1860. Marilyn Vann graduated from the University of Oklahoma with a Bachelor of Science in petroleum engineering with distinction. She is the first known female of African descent to graduate from that discipline at the University of Oklahoma. She has been employed with the federal government as an engineer for the past twenty-four years in Oklahoma City.